As a participant in the MITRE SE Fellowship program, you will be fully integrated into MITRE's SE work program. You will be assigned to an SE project in one of our technical centers or in our research program and participate in technical and leadership meetings. MITRE will also provide technical and subject matter training as needed. And you will be assigned a mentor to help guide and advise you through your fellowship. Participants will collaborate with MITRE employees, government staff, and contractors to work through key system life cycle phases of several government programs, while contributing to cutting-edge SE research and application. The University of Virginia Accelerated Master’s Degree Program in Systems Engineering for MITRE's SE Fellowship participants integrates academic curriculum with real-world government project work. 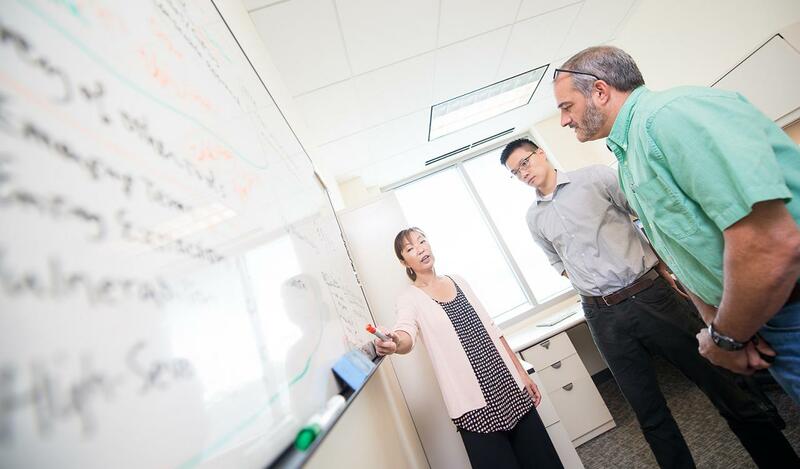 This means that in addition to classroom courses and seminars, participants gain experience working alongside MITRE SE experts, collaborating to solve problems using both analytical and theoretical modeling approaches. Courses are taught by outstanding faculty from UVA's Department of Engineering Systems and Environment and the Darden Graduate School of Business. Fellowship participants earn 33 credit hours with courses taught on the UVA grounds in Charlottesville, Virginia, on every other week on Fridays/Saturdays.